I'm Here. I'm Queer. What the Hell do I read? 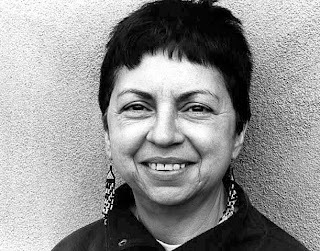 : Gloria Anzaldúa's "La Prieta" - A Bisexual Poem that blew me away! Who me, confused? Ambivalent? Only your labels split me. Words to live by. There's a danger in labels. That we see everything in binary: yes or no. zero or one. black or white. The world, and each of us, is much more complicated, and colorful, and... beautiful. MAN. That poem has impact. The only one bisected...isn't the poet. Thanks for this one, Lee. Truly. I too LOVE that last line. Its a mojor shortcoming of society, the need to define things, and in turn define ourself (and others). Really powerful.